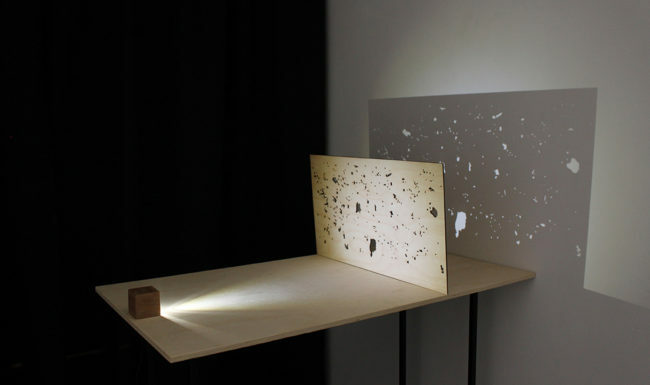 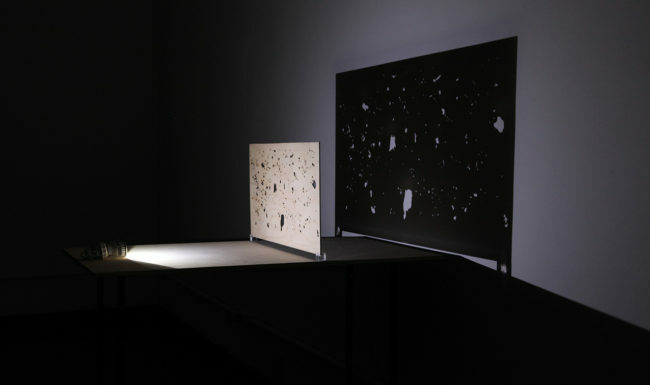 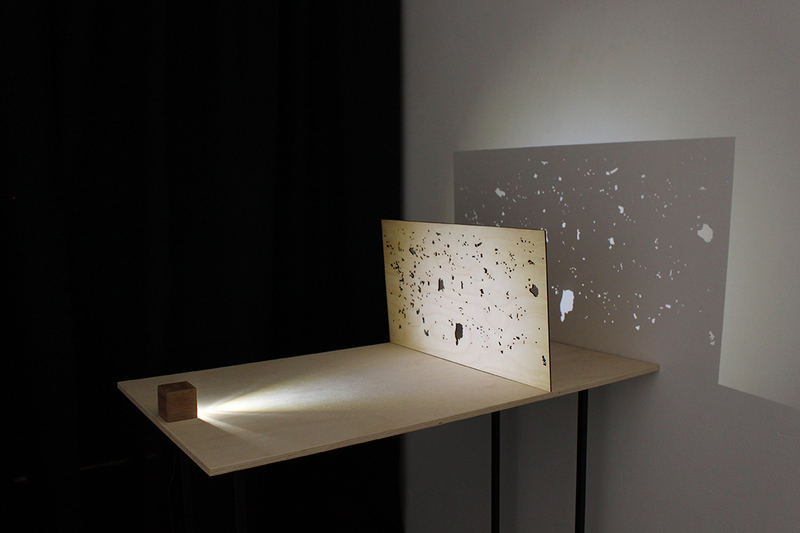 A drawing of parks and squares of São Paulo map are cut out in wood, through which light projects a shadow on the wall. 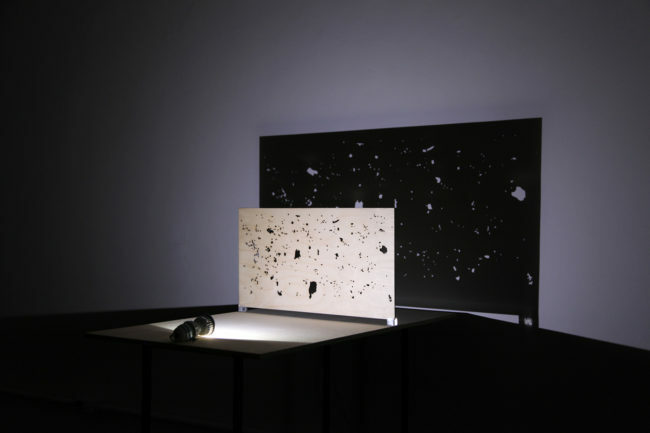 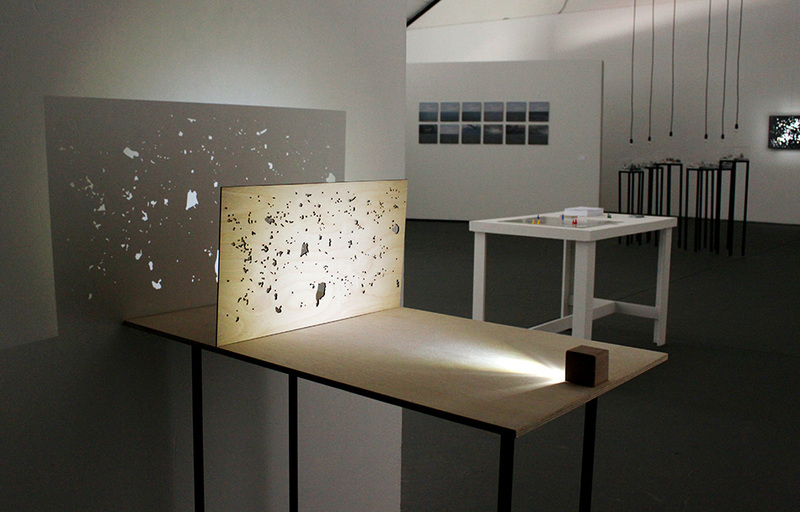 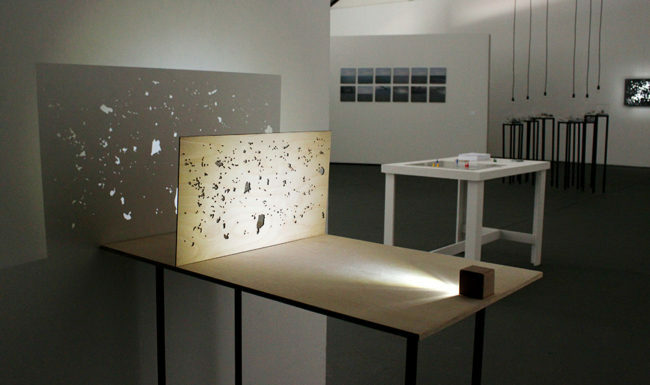 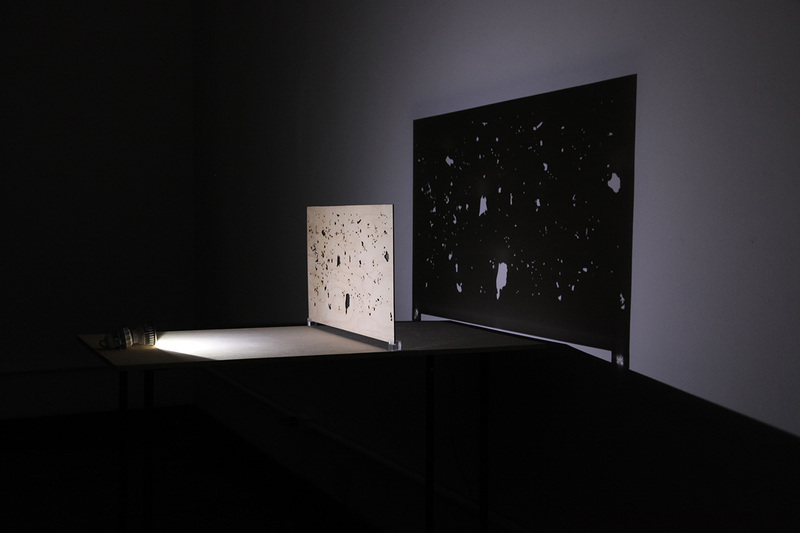 Solo exhibition O ar entre as coisas, A Sala (Centro de Artes Visuais UFPEL, Pelotas – Brazil), 2013. 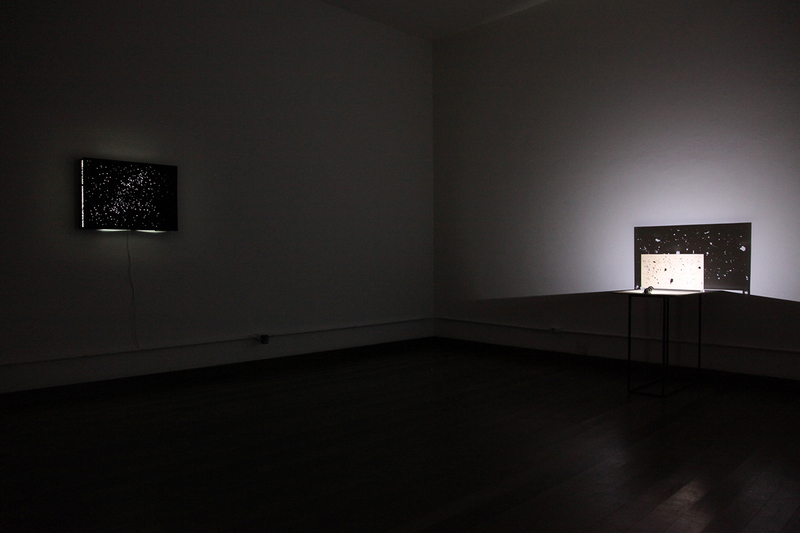 Group exhibition Lugares/Representações, FUNARTE São Paulo – Brazil, 2011.